إذا كنت تبحث عن عقار بموقع جيد في المدينة، فقد وجدت ضالتك في Northern Greenhouse. لا يبعد الفندق كثيراً عن مركز المدينة، فهو يقع على بعد 0.1 Km منها. في حين يستغرق الطريق منها إلى المطار حوالي 15 دقيقة. إن سهولة الوصول من الفندق إلى المعالم السياحية الشهيرة الكثيرة في المدينة هو استثنائي بحد ذاته. إن Northern Greenhouse حريص على توفير الراحة للنزلاء، فلا يوفر الموظفون جهداً في تقديم أفضل الخدمات وضمان حسن الاستقبال. لضمان راحة ضيوفه، يقدم الفندق الخدمات التالية: واي فاي مجاني في جميع الغرف, خدمة التنظيف يوميًا, خدمة سيارات الأجرة, خدمة حجز التذاكر, مكتب الاستقبال على مدار الساعة . يمكن للنزلاء الاختيار من ضمن مجموعة من الغرف المصممة بعناية لتعكس جواً من الراحة، والتي يتجاوز عددها 6. يمكنك الاستمتاع بالأجواء المريحة التي تقدمها مسار جولف - ضمن 3 كم, حمام سباحة خارجي, حديقة, رياضات مائية (غير آلية), غرفة ألعاب طوال النهار. إن Northern Greenhouse هو خيار ذكي بالنسبة للمسافرين، فهو يوفر إقامة هادئة ومناسبة للاسترخاء. على النزلاء الذين تقل أعمارهم عن 18 عامًا أن يرافقهم أحد الأبوين أو وصيّ قانوني. Only stayed there for a night as we arrived late and had to go on a scuba diving trip very early the next morning. Room was clean and huge as there were only the 2 of us, good that there is a outdoor area to smoke. It’s good location to go anywhere such as Woolworth, Central shopping center and Gilligans club. It’s a bit far from Lagoon but not much. Room condition is good. 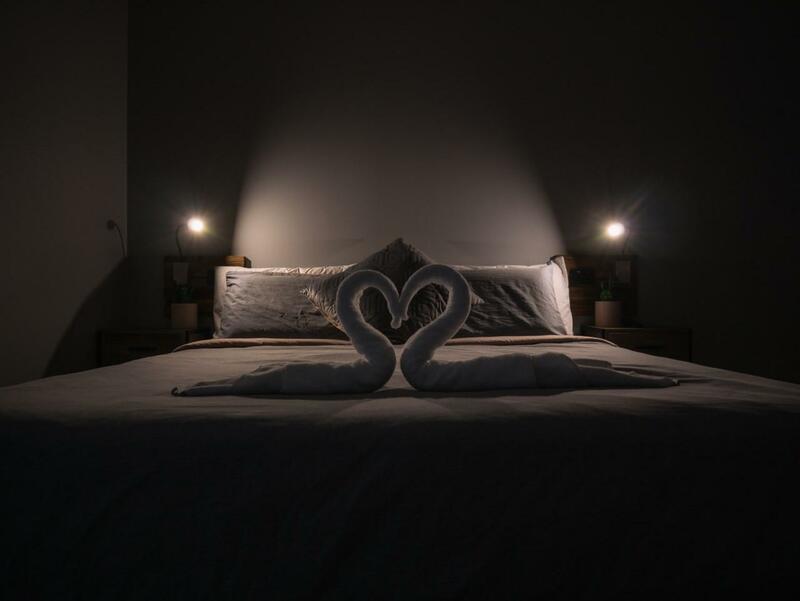 There is private light and power point at all single bed. Air conditioner work well. You can buy any drink at the bar and breakfast menu is also good. 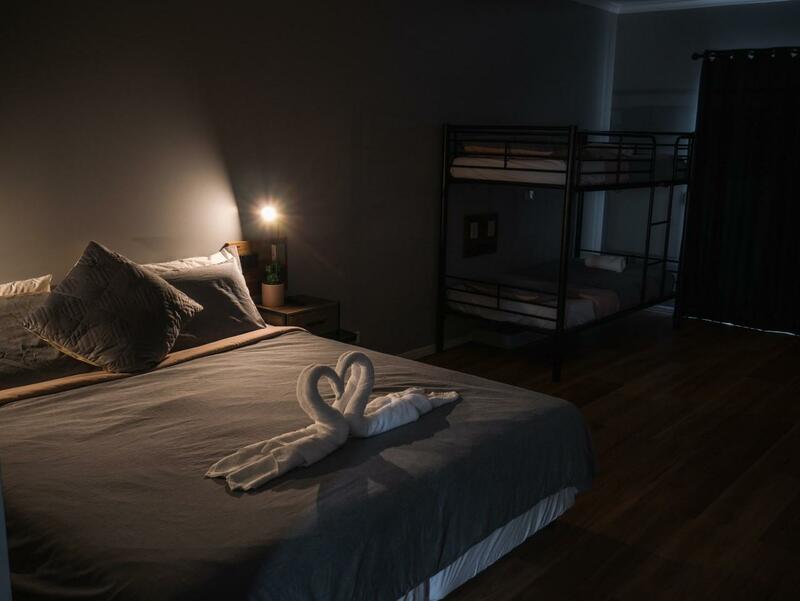 It’s best budget hostel in Cairns city. If you check out before 8am, they need you to book an early check-out, otherwise, they say they only will contact you via email for refund to your bank account. It's troublesome! They should tell customers in check-in, but they didn't in my check-in. The rooms are quite nice, large, and clean equipped with a closet, lockers, kitchen, balcony, and own bathroom! It’s on the same street as Gilligan’s and is only a 6-8 minute walk to the esplanade and lagoon! 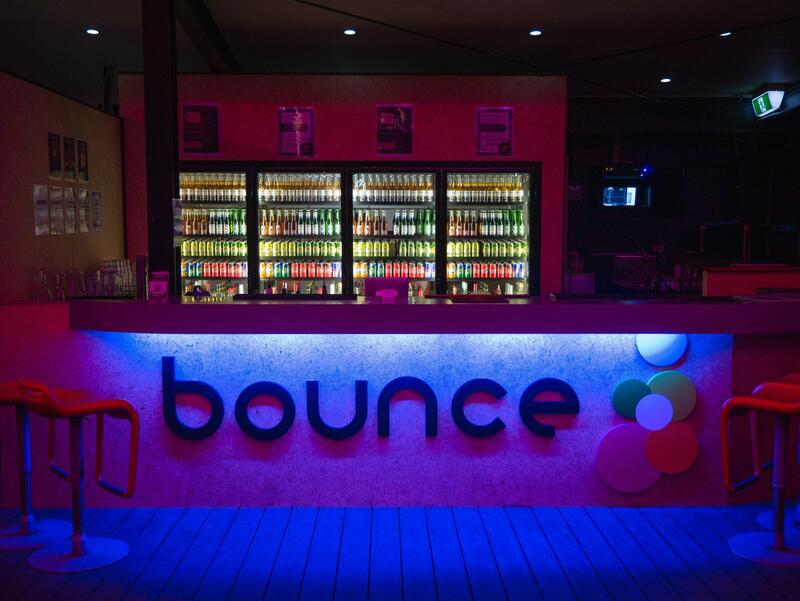 Honestly, it is next to everything you need in Cairns city! It’s def not a party hostel, but it’s great if you are already traveling with a group then just head over to gilligan’s. For long termers, it provides a very clean and quiet place to stay. However, i don’t think many ppl know about it so there isn’t as many long termers here. Note that WiFi doesn’t work well with phones but better with computers. They give you a password that expires in 7 days, but you can always request a new password from reception. Def recommend this hostel! Wifi only available in lounge, not ideal for those who are exhausted returning end of day and don't want to listen to drunken party shrieks. Good standard breakfast, big clean rooms, comfy beds, booked me with all dudes the first night in a six bed dorm which was kinda weird but I'm 30, it's no big deal, maybe would be if I were younger. A refund loud Gilligans next block is a place to make a reservation immediately. The Gilligans is the place to play in clubs, noisy places difficult to sleep at night. This is a quiet, clean and nice rooms. The swimming pool is also clean, albeit small breakfast ~! Location is very good, near city center and the beach. But so dirty, they don’t clean up the room properly. (The cleaning process took less than five mins when i saw it) Also THERE IS COCKROACH inside the bathroom. Couldn’t sleep well. I won’t recommend this hostel if u want to stay in comfortable place. The staff was extremely helpful for everything. They went out of their way to help me out. I've rarely seen this level of service. Location is also good in town, with bunch of restos, bars and grocery store near by. Also short walk to the lagoon. The hang out place on the 2 nd floor was quite nice. Bathroom was due for a refresh. It is convenient that there is bathroom in the room. The room is clean and comfortable. The free breakfast is good with fruit and pancake. It is relax to stay here. The first day, i arrived in the early morning at 6:30am in cairns airport and already requested free pickup service online, but the bus didn't show up. Hotel location is good to walk around in the city. I used 6people dorm, the room has a bathroom and kitcken stuffs with a fridge which is also convinenet. On Sunday night, the hotel organised BBQ party which was also impressive. Overrall, i was satisfied with the hotel in a low budget. The staff members were helpful. U can get a free shuttle ride by visiting the hostel's website. It will lead you to a link and you can book a free shuttle ride from the airport on the web. It's clean and there is a small pool. I actually I stay first time back packer hotel , I usually stay single room , but this time I chose back packer , it was very fun, cos meet many people many country so, cos if stay single room no one talk, but back packer is talking with people so, really nice , and good location , I would stay again if I come cairns then. Breakfast was so so, just some toast and muslin. You can buy some food and store at the kitchen. Free movie night, free pancake on sat, free BBQ on Sunday. Great value. Room is alright, six beds in a room and with a fridge, air con and a shared bathroom. I think it's nice for backpackers and we don't have to share toilet with all guests. My stay was very nice. The only bad thing is the noise if your roommates are not considerate. Besides the room is near the street so it's quite noisy at night and in early morning with the garbage truck comes. And some other annoying sounds from the public area. In general it was a wonderful. Reception is helpful and friendly. Location is great. Hotel organizes daily activities and most of them are free. This is very nice they do that. The third time I stayed at this retreat was great. After shopping around for a cheaper, equally as central location, I drew a blank. The value for money with reference to the location of this hostel is brilliant. It is a short walk from the main attractions, the staff and helpful, the generous breakfast is included and the rooms are spacious. I would stay here again if in Cairns. 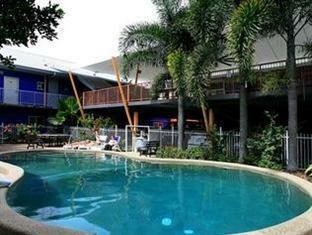 This backpackers is located in an excellent position with regard to accessing the main sights of Cairns. It is convenient and close to the main attractions and amenities. The room in which I stayed was clean and spacious. Noise pollution was kept to a minimum thanks to the maintenance of strict rules regarding silence after 11pm. The staff were friendly and amenable if help was requested. My stay at the Northern Guesthouse was enjoyable. The location alone makes this place great value for money. Everything worthwhile visiting is only a short walk from the front door. Stayed in Northern Greenhouse for 2 nights in the 6-share room. Really enjoyed my stay here. Was very clean and did not find any issues with the accommodation. Front staff was really friendly, making sure that I was briefed of everything I needed to know before moving into my room. Also, special kudos to Jazmine (travel consultant) for suggesting that I do the white water rafting. Had a great time! Overall, you're definitely paying less than the service you're getting. Good place to stay, but may be slightly noisy at night depending on what days you're there. very nice location within city center zone.